That won't work, my repack is updated to the latest version, 1.50.67.1020, which uses CODEX crack. 1. Install "The.Sims.4.Cats.and.Dogs-RELOADED" (just search for it) + Laundry Day Stuff + Jungle Adventure from G4TW. 32.7GB to download. 2. 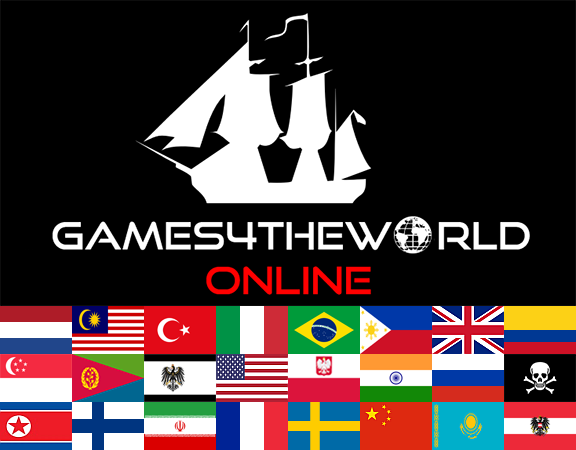 Install everything up to Jungle Adventure from G4TW. 50.7GB to download. I think Cats & Dogs was the last one cracked by RELOADED and crack for Laundry Day Stuff and Jungle Adventure was made by someone else but it's based on RELOADED crack. So they should work. Cheers man, I've found one that I'm gonna download in a sec. 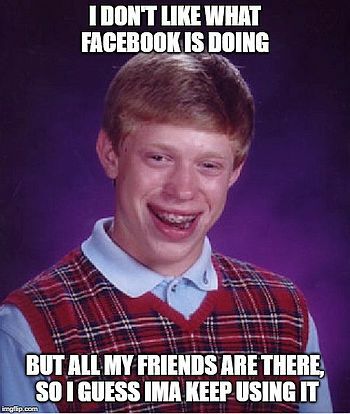 In fact, it says you commented on it last October on Piratebay. The Sims 4-RELOADED by extremezone. Does that ring a bell? It includes all the DLC up until the point in time it was uploaded to Piratebay, yeah? That's just the base game. Get "The.Sims.4.Cats.and.Dogs-RELOADED". And that comes with all the previous DLCs also plus the base game? @anadius wrote: That won't work, my repack is updated to the latest version, 1.50.67.1020, which uses CODEX crack. @dub007 wrote: Yeah, my Windows is 64-bit. Why's that? Was just thinking about the remote chance that having a 32-bit system, may also lead to problems with these new updates. But then you'd probably get a different error message. I thought I posted this but it's not showing up for me anymore... does that one include the base game and the previous DLCs before it? Oh, everything lagged out for me for a second there haha. Okay cool! Thanks a bunch man! Oh I see, well that might've made sense. I dunno, this problem is so strange haha hopefully someone somewhere figures it out sooner or later. Yes, yes. Despite the naming conventions of scene/repacker-releases, these compilations contain everything including the base game plus all the DLCs until the one that is mentioned in their title. In that case, Cats and Dogs. If I remember correctly though, the Jungle Adventures (all-in-one) did not have this issue with the "hello orangeemu.dll", either. I may be wrong though at this point. If you like, feel free to try at a later point yourself. Hey guys... sorry to be a pain in the neck... but I've downloaded and installed that Cats and Dogs crack... but when I try to open it I get two new error messages. The first is "Unable to start: cannot start because required game data is missing or damaged. Please repair or reinstall the game via origin." and the second is "RldOrigin: Run the game as administrator if it is the first time you start it. Always make sure Origin client is not running." Oh and now an EA thing as popped up that says "We're sorry, an error has occurred: Origin is not installed, and is required to play your game. Please reinstall Origin." 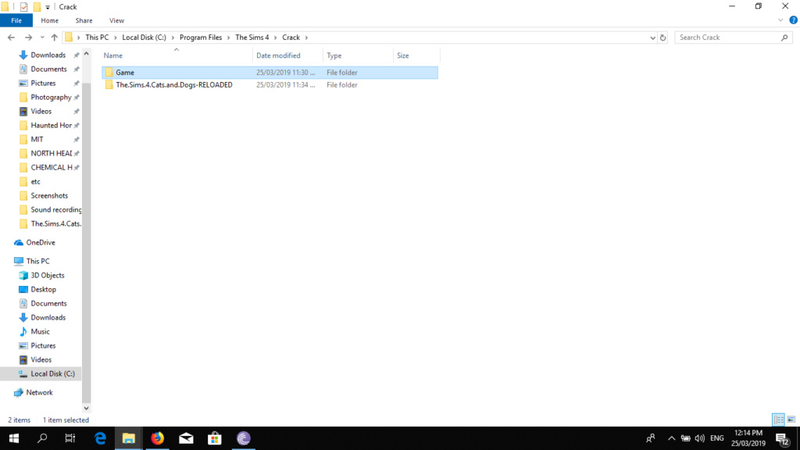 These downloads are mostly .iso files; open the .iso file (in Windows 10: right-click and choose open with -> Windows Explorer) and then look inside for a folder with the name of the scene group. In your case there should be a folder "RELOADED". 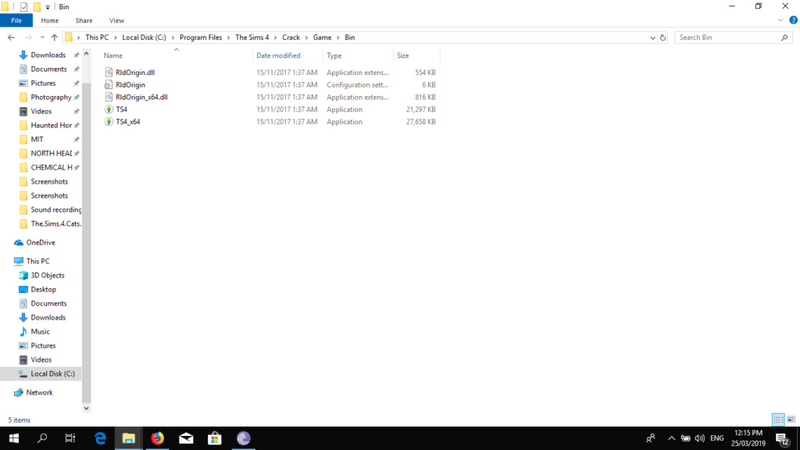 There are No-Origin files inside, which you can then copy/paste to the Game\Bin subdirectory of where the game is installed. @The_gh0stm4n wrote: These downloads are mostly .iso files; open the .iso file (in Windows 10: right-click and choose open with -> Windows Explorer) and then look inside for a folder with the name of the scene group. In your case there should be a folder "RELOADED". Yes, it depends on the repacker. Sometimes the folder is named after the scene group, sometimes the folder has a different name. In your case, the "Crack"-folder is what you need. You should see a bunch of files inside. Copy them all, and paste them under the Game\Bin subdirectory of where the game is installed. Edit: replace the existing files, when prompted on what to do next. And No-Origin/No-CD files, are really just nicer expressions for "crack files". They all mean the same thing: namely modified game files or additions, that allow you to play the game without any special authentication (Steam/Origin/etc. login). Before that second pic I clicked on the crack folder. And The.Sims.4.RELOADED folder is just the original torrent folder that I placed there. 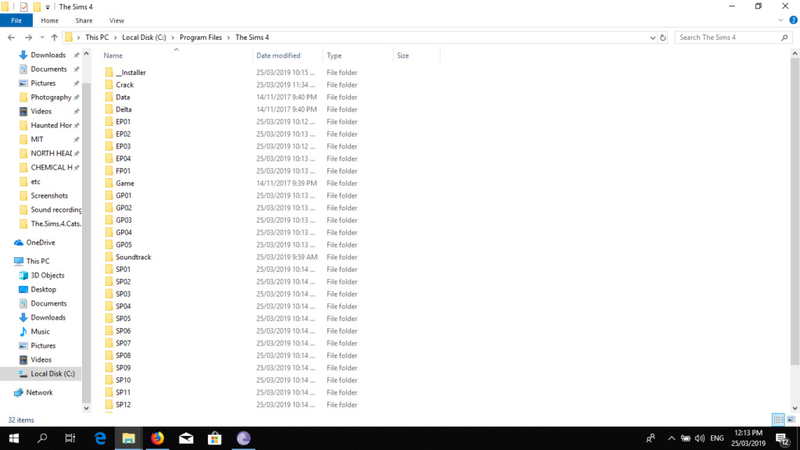 Files from "The Sims 4\Crack\Game\Bin" should be in "The Sims 4\Game\Bin" folder.